Cargo-carrying unit, OEG Offshore, announced its gain of OSCA Environmental Services Ltd., saying the acquisition expands its international reach in the Caspian region. OEG has acquired OSCA's 2,500-unit stock has multiple bases including: Baku, Azerbaijan and Aktau, Kazakhstan, and Turkmenistan. Additional stocking locations include: Sakhalin, Russia, Gabon, Congo and Angola. This acquirement is OEG’s second major global move in less than two months, following the establishment of a Joint Venture with Unique Maritime Group, providing offshore equipment for rental and sale in the ME. The company specializes in manufacturing, delivering and installing offshore units certified by the DNV 2.7-1 standard, with recent investment in manufacturing units for operations in conditions to -40. John Heiton, OEG Offshore CEO, said: "OSCA is a perfect fit for us, as the largest specialist provider of containers and cuttings cargo storage in the Caspian region as well as to Sakhalin and West Africa, it links seamlessly with our successful North Sea, African, Asia Pacific, Australian and Americas’ operations. "The business has been hugely successful for more than 18 years, delivering European Standard and DNV-certified container and cargo solutions to operators and the supply chain – its products and vastly experienced team are a huge asset for OEG. "As part of OEG Group, OSCA's market-leading position in the Caspian region provides our existing clients with key new products from stock, and introduces our wider offering to a range of new clients." Following the acquisition OSCA, retaining its brand as part of OEG Group, will be led by long-standing commercial manager Donald Guthrie, soon to be the new regional director. Bob Smith, owner-MD of OSCA who is remaining with the business as chairman of the OSCA group, said: "After establishing the business in 1996, we have had tremendous success and recently worked in parallel with OEG – I have no doubt OSCA will secure further growth as part of the group. 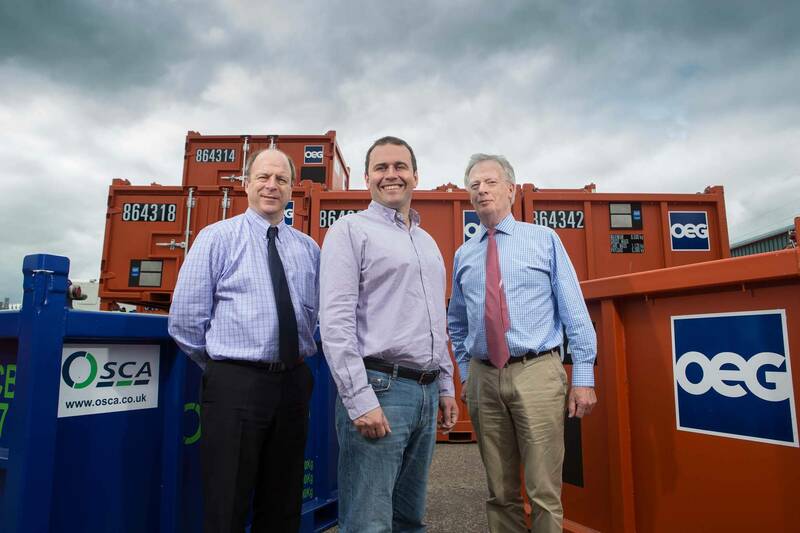 "Achieving international certification and setting new standards for the quality and reliability of container and cargo equipment has been a core focus for OSCA, principles which are also the foundation of OEG's business. "Donald Guthrie is the ideal candidate to take on the day-to-day management running of the business and I am sure that he and the rest of the team will continue to provide high quality service to our current and future customers."